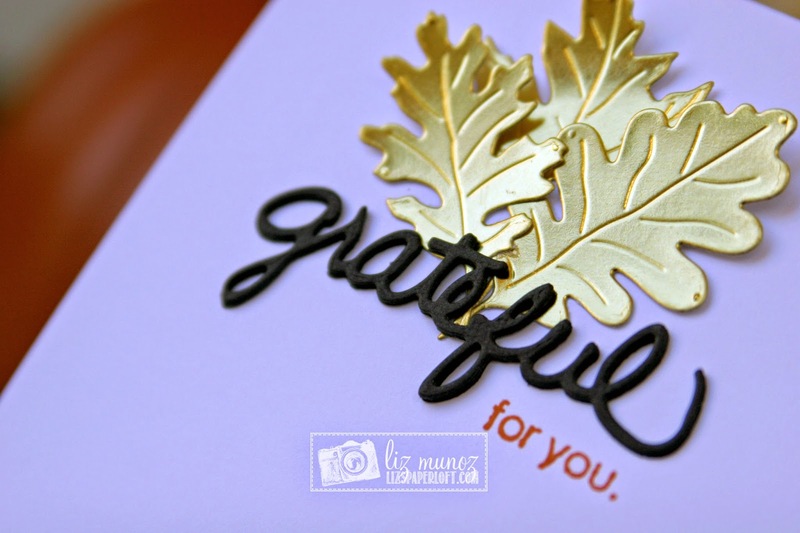 Liz's Paper Loft: MCT Trending Now Thursday ~ grateful for you! For today's hot trend we are featuring metallic gold...it's every where! Fashion, home decor, and even paper crafting! My project today is a card with gold leaves. I LOVE the way the gold paper was beautifully embossed by the die! For the "grateful" die, I cut it out four times and adhered them together for a more substantial look. This was a super quick card with huge impact! Don't forget to see what my design team sisters created! This is so GORGEOUS Liz!!! I just LOVE those gold leaves!!!! 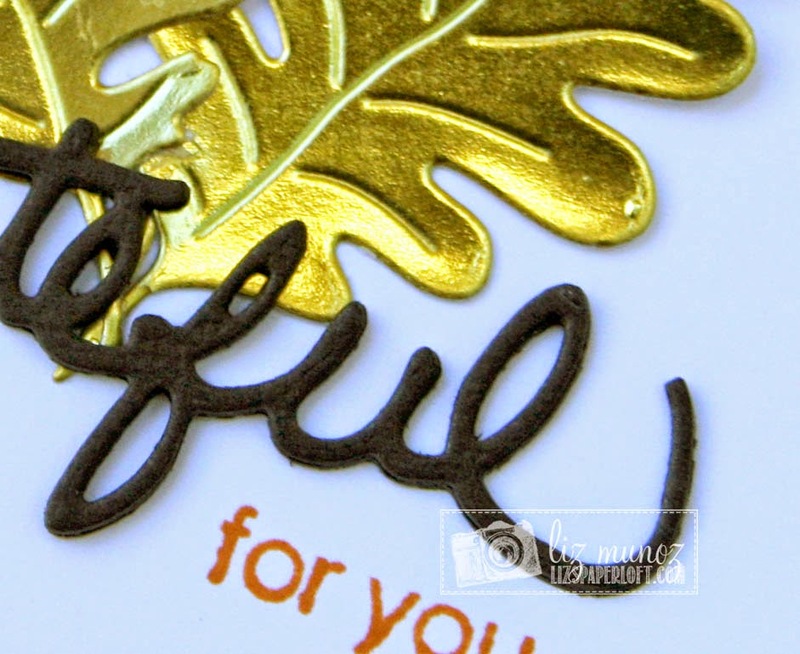 No need for bling with this gold cardstock. Beautiful CAS card. Gorgeous!!! I love how those gold leaves look against the white background and the pop of black from the sentiment! Hugs!! Liz ~ You are so right!! Simple with a HUGE impact!! LOVE this!!! GORGEOUS card!